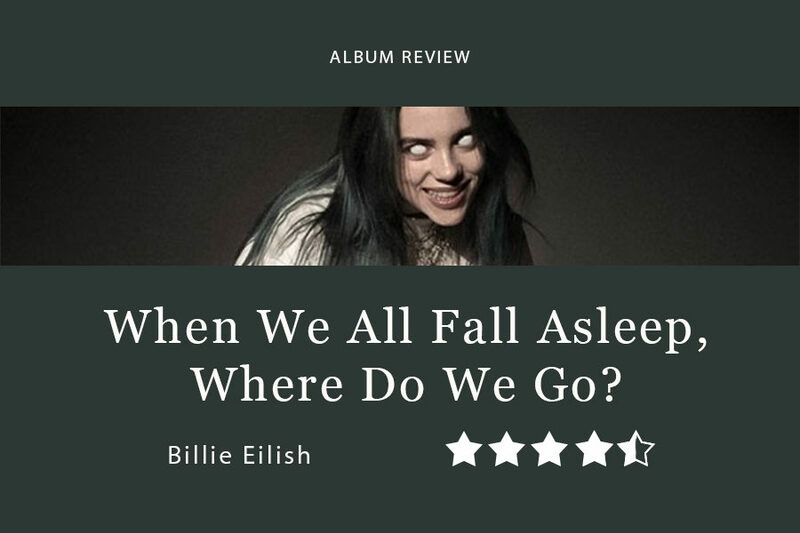 Billie Eilish’s WHEN WE ALL FALL ASLEEP, WHERE DO WE GO? came out March 29. This is her first full-length album, despite already having released many chart-topping hits. I am not quite sure how to refer to the track “!!!!!! !” in conversation. It is not even a song—the 14-second track is only Billie Eilish and her brother laughing about her Invisalign, introducing the album. The success of Eilish, the newest 17-year-old pop sensation who released her first single “ocean eyes” in October 2015 on SoundCloud, and her debut album is entirely unanticipated, to say the least. “!!!!!! !” sounds as if it was not even meant to be in the album in the first place – only a footnote from a recording session. Eilish and her brother, Finneas O’Connell sound excited; their chemistry is contagious. From there, the album effortlessly, seamlessly moves to the next track, “bad guy”, a song that sounds like it was pulled straight from the film Mission Impossible. The lyrics contrasting just enough, the song almost satirically portrays her as the bad girl in a relationship. 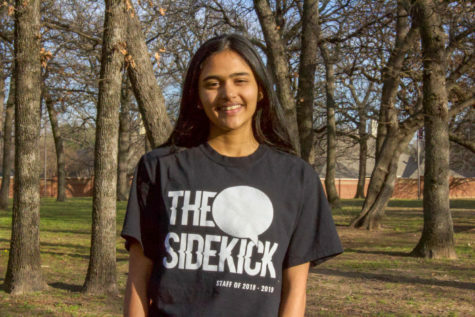 That is the album’s sound—absolutely effortless. The tracks are perfectly ordered, each song a perfect masterpiece. The 14-track album is an accidental, trippy, wonderful place to lose yourself for 42 minutes. I was thrilled to learn the first half of the album displayed the Eilish fans knew and loved. The twists are surprising and yet fit with her own breathy voice at the same time. The album is colorful exactly where it needs to be and soaring where it does not. The only song that falls short is the eighth track, aptly named, “8”. The light acoustic does not fit the vibe of the rest of the album, and Eilish’s baby voice is just a little too unusual. The most striking thing about the album, however, is the play between the obvious message and a much more inviting, not-so-obvious message. The album is incredibly consistent, using her voice as an underlying thread of constancy, with the instrumentals existing to spice it up. This makes the album fun to enjoy both from beginning to end and to revel in each individual song. Eilish conveys her message well—the singles she released (and especially “bury a friend”, with its titular lyrics “when we all fall asleep, where do we go?” somberly sung) all seem to explore her own monster under the bed. The music videos add to the experience, each getting more wild—first, Eilish cries black tears in “when the party’s over”, then a spider crawls slowly out of her mouth in the aggressive “you should see me in a crown”. It all culminates in a strikingly dark music video for “bury a friend”, where Eilish is the monster under the bed. However, when her album was released, along with the music video for “bad guy”, with its bright yellow background, it was not long before fans realized Eilish had a more diverse range than just slow, mournful tunes. The songs “all the good girls go to hell” and “ilomilo” steal the show in terms of slightly unorthodox—oh, wow, that sounds like an organ. A real, live, high-pitched church organ—it is comical, actually—astounding—keeping me in my seat. Her voice does no overpowering here, leaving the message to the instrumentals. “ilomilo”, inspired by the popular Japanese Nintendo game, samples parts of the game’s soundtrack and blends it into a beautiful, arching melody. Eilish’s debut album is absolutely riveting, a surprisingly bold track with few pitfalls that is fit for a queen. Consequence of Sound describes it as “the tongue-in-cheek bad-guy album Taylor Swift wished she had made with Reputation”, but WHEN WE ALL FALL ASLEEP, WHERE DO WE GO? takes it one step further by adding an element of delightful, ironic humor, as if Eilish is letting us in on a particularly juicy secret. The album itself is enjoyable for past fans of Eilish who will not be disappointed despite the divergence from the sound of her other singles and EPs; the album only adds another layer to Eilish’s character.